There are those buyers who will pinch every last dime out of a transaction and come away the only winner. These are not the buyers I’m talking about. The buyers that more often come along are the ones with a strong wish, desire or driving force that is creating a need for a property that they don’t currently have. It’s not just driven by the budget, but by an emotion. “I want to be 10 minutes from my work”. “I want an ocean view”. “I want to live out in the country, in wide open spaces with no close neighbors”. 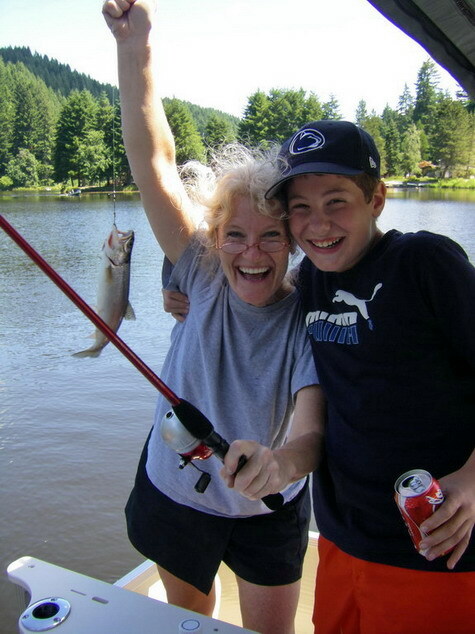 “I want to live on a lake so that my grandkids can enjoy what I had as a child”. These buyers may start out with a budget. But, the savvy realtor has to look at these buyers and first determine: who is the decision maker? Is it the spouse with the champagne taste or the other spouse with the beer budget? Who is driving the bus and who is just along for the ride? If the realtor really pays attention to the ultimate wishlist, then the buyers may end up falling in love with that particular property that gives them the WOW factor that they were seeking, but is above their current budget. If the WOW factor has hit them between the eyes, then it certainly could have the same kind of effect on others down the road when it comes time to sell that same property. They may be spending more now, but they could also be buying that gem that will be a great investment because they saw the worth that others will see, too. Of course, there is the buyer who goes for the Pygmalion in the community; that diamond in the rough that they can get for a steal. Then that may be the driving force. The POTENTIAL. At a great price. But….let’s get back to the buyers who have found their dream property, yet it’s going to require more money. The “buy in” is that the realtor has given them what they were seeking emotionally, now it’s time to get creative with the money. Unless they’re paying cash, they will need a great loan person with creative solutions. Do they have other assets they could sell? Any stocks that they could liquidate? Do they have an equity line-of-credit? Could they borrow against a 401K (not necessarily the best solution)? If it’s a vacation property could it become a rental? A good loan expert can offer some wonderful ways to get creative at a potentially low interest rate and it could even offer some tax benefits. Years ago, before I knew I would be in real estate, my husband and I found Fishhawk Lake. We ended up buying a lot, just after we’d bought a brand new tent trailer. We figured we’d camp on our lot for a few years, then build. Then the almost- brand new, custom-built home next door went into foreclosure (this was long before the whole mortgage debacle). It was a gorgeous 2-story chalet. The price was reasonable, but still more than we could manage. But, we wanted it! We told our realtor at the time to throw out a ridiculously low price to the bank. He said they’d never go for it. They immediately dropped the price $20,000 in a counter-offer. We got busy, quickly selling the tent trailer and my husband’s Corvette. A little more finnagling financially and we walked into our vacation home with about $20,000 equity! And it had only had one owner for about a year. Later, our vacation home became our full-time home and then I became a realtor and ended up selling it TWICE after we purchased it, in 2003! Now it has full-timers who absolutely LOVE it. (Just like we did). When people have a strong emotional desire that they’ve had for years, they decide that they want to fulfill it and the realtor delivers, it’s amazing what buyers will do to make it happen. Let me help you get creative with fulfilling your dreams! This entry was posted in Fishhawk Lake Real Estate, Real Estate Expert, Real estate Financial information, Retirement and tagged 2nd homes, creative financing, expert realtor, Fishhawk Lake real estate, lakefront properties, negotiating a home sale, property sales, purchasing a 2nd home, Real estate expert, values of lake properties. Bookmark the permalink.